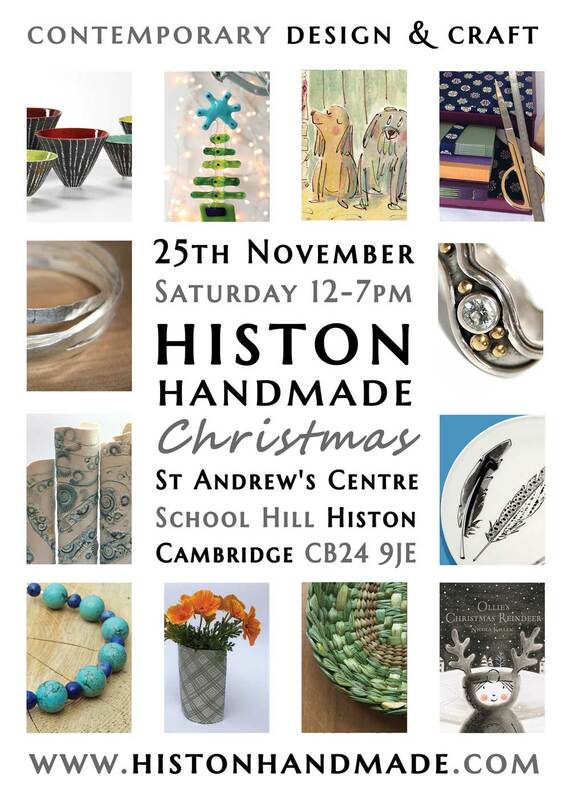 Bigger and better this winter with 23 local designer makers showing together in St Andrew's Centre, Histon, just a few miles north of Cambridge city centre (a few minutes drive off the A14). 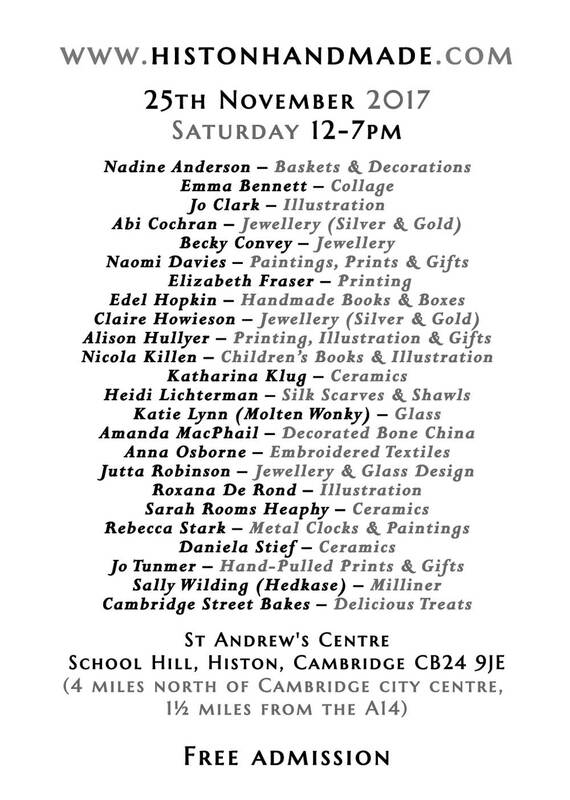 Cambridge Street Bakes - delicious treats! Click to enlarge the maps. Fuzzy Blue Elderflower Moon Pendant - Ready to Send! Aquamarine Circles Studs - Ready To Send! Water Sapphire Nestling on Mountain - Ready to Send! Diamond Coastline Cufflinks - Ready to Send! Aquamarine Circles Pendant - Ready to Send! Aquamarine Stream Ring - Ready to Send! Ash - Ready to Send!